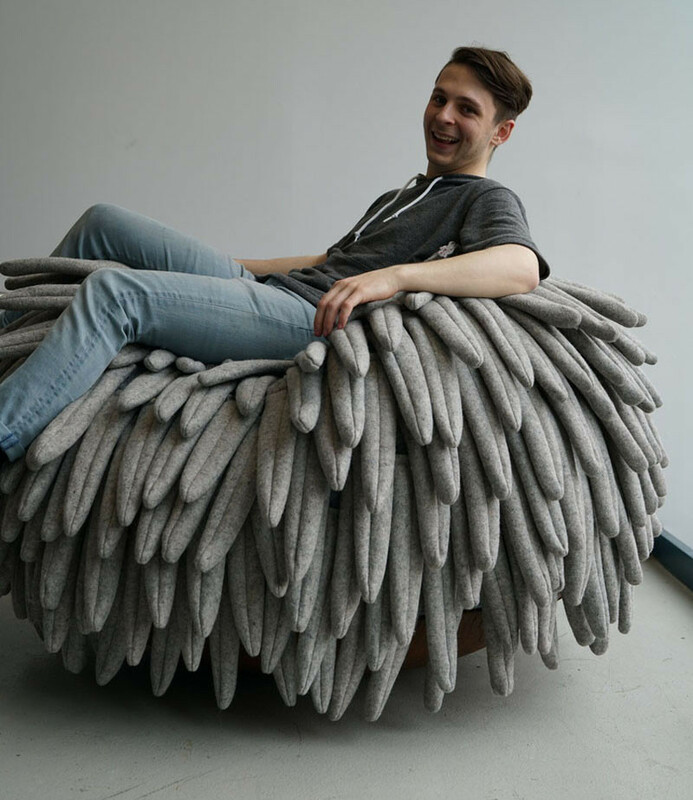 Drexel University student Carl Durkow, has just exhibited his new chair design, named ‘Narl‘, at ICFF 2016 in New York. 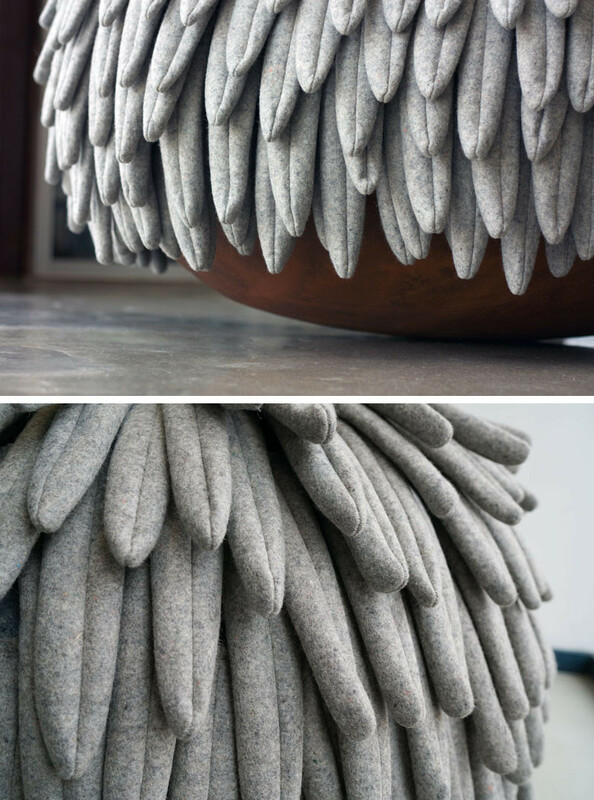 The chair has an almost feather-like appearance, with a large curved base allowing for the chair to become a rocker. 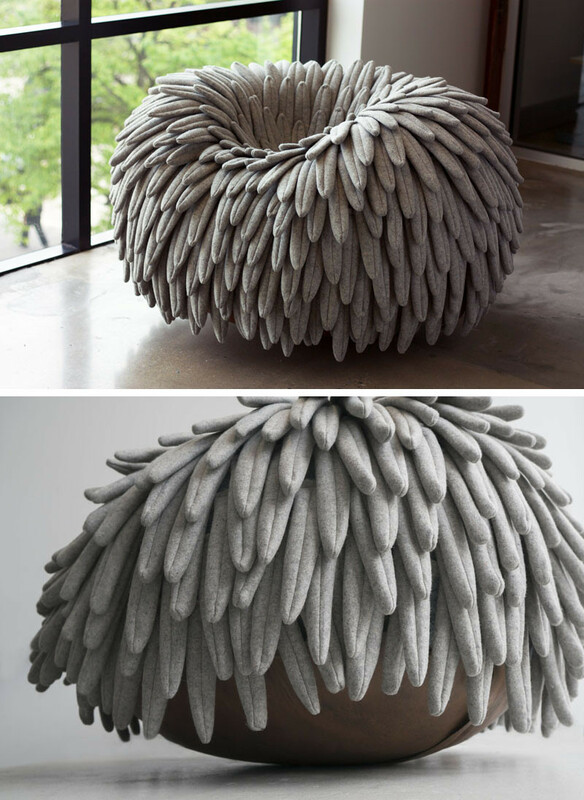 We could easily imaging spending an afternoon relaxing and rocking in this oversized chair.